Looking for private in-home or in-studio Film Acting classes? Our North Hollywood teachers are ready to get you started. Find your teacher today! Check out some of our most popular teachers near North Hollywood, CA including Los Angeles, Long Beach, Irvine, Glendale and Burbank. I have a Masters degree in Acting from the acclaimed Actors Studio Drama School in Manhattan, so I am well versed in most every acting technique; including Stanislavski, Strasberg, Meisner, Chekov, Hagen, Stella Adler, and beyond. I've taught acting to children, teens, and adults in the US and abroad since 2005 and my students are working actors! My main goal is to help you to develop your own set of tools for practicing the craft of acting, and to better understand your unique voice as an artist. Make sure to wear clothing you can move in during our sessions, and, most importantly, explore and just have fun! Career guidance, acting technique, audition prep... After a decade in Hollywood, I know a thing or two about the CRAFT and BUSINESS of acting! I've booked over a DOZEN speaking roles on TV and Film (Comedy, Drama, and Improv,) I appear on national commercials yearly, and I've played voices in award-winning audiobooks. I am also a former NBA dancer & collegiate cheerleader! A decade ago, I wish I had had someone to help me fill in the missing pieces. What more can I do? What should I do differently? Need some acting help that is specific to you? Look no further! I'm Donnabella, and I can't wait to help you take your acting BUSINESS & CRAFT to the next level! I have worked with dozens of actors from age 7 to 87. I am patient, motivational, and efficient - we will tackle your goals and have fun every step of the way! Need help with homework? I started peer tutoring in middle school and have continued to teach ever since! I can help you excel in your academic endeavors. I have worked with dozens of students one on one, as well as group settings! ontinued to book ever since! I am also a former NBA dancer & collegiate cheerleader! Donnabella is a fantastic teacher! I was really having trouble with being confident when acting as well as not sure where or how to start to learn. Donnabella made it super easy, teaching several approaches and techniques that now use when looking at a script. I also feel a lot more confident not just with acting but overall. She's made it easy to be confident but still challenging myself with every lesson to put farther out of my comfort zone and grow! Donnabella helped me take my career to the next level. I was really afraid to truly commit and make acting my priority. I've finally stopped making excuses, and I've taken back control over my self-sabotaging habits! Donnabella helps me tremendously with stage fright and confidence. She's amaze-balls. My students will learn simple, useful tools and tips that will quickly raise their game! Focus on scene analysis and the mechanics of on camera acting made simple. For over 20 years, Lee has been a renowned acting coach, writer and director. He has taught at numerous institutions including NYU, The Atlantic Theater Co. Acting School, New World School of the Arts in Miami and the Relativity School of Film Media & the Performing Arts. Lee also taught filmmaking, directing, screenwriting, and film history at the L.A. Film School. l of the Arts, MFA in Creative Writing and Writing for the Performing Arts (Screenwriting) from the U of California, Riverside. I am a professional actor with 23+ years experience working extensively in the US and Australia in theater, film and television. I love working with all ages. I have two very ambitious children of my own (8 and 10 y/o) and really enjoy working with inquisitive young minds. I also adore working with teenagers who are serious about their success or who are just looking for some fun self-expression. And I absolutely love working with adults of all experience levels, beginner - professional. If you are really serious about delving deep into auditions and having some personal breakthroughs I will be a great coach for you! I have been living in Los Angeles for 7 years and am very familiar with the auditioning process here. I can be very helpful for you preparing for your auditions or coaching you with roles you have booked. I am a bright, fun loving, extremely personable teacher, dedicated to helping you reach your greatest and most free and joyful potential as an actor. I have 23+ years professional acting experience working in theater, film and television. I am exceptional in performance training and text analysis and can help you delve deep into monologues/auditions and/or roles you have booked. I have two children of my own and am super fun and energized working with kids and teens. I have numerous games and methods to help kids, teens and adults break through self-consciousness and release themselves into the characters they are playing in school, for fun or professionally. She is truly a great acting teacher who knows how to communicate to you what is you need to fully understand. Felicity is amazing, and make no mistake, she is a brilliant actor AND screenwriter herself. I think that it's this combination that makes her such an effective teacher. She totally gets subtext, and she helps her students dig deep to understand where their character is coming from. When I was preparing to audition for a part in a play earlier this year, she helped me create an entire subtext and backstory, so that by the time I auditioned, I had already totally embodied my character. I nailed it, and I got the part. I definitely recommend Felicity to anyone, any age, looking for acting lessons, or who is already in a play, film, or TV production and needs nuanced fine-tuning. She's the best. Felicity knew exactly how to work with our 7-year old daughter Margot and prepare her for a big role in Yada's production of BEAUTY AND THE BEAST. Not only was Felicity extremely patient and engaging, she knew which cues to give in order to help Margot improve, and as an actress herself, she knew HOW to help and what to say. When we saw Margot perform on stage, I knew just what Felicity had contributed and I saw Margot put it to practice. I would recommend working with Felicity in a heartbeat. As a television and theatre actor for 14 years who became an award-winning director and screenwriter, I have a particularly well-rounded perspective on acting. My belief is that anyone can act, if given the right tools. Most importantly, it's about exploring yourself -- who you really are as a human being and having confidence in that unique individual -- that moves audiences and brings a character to life. 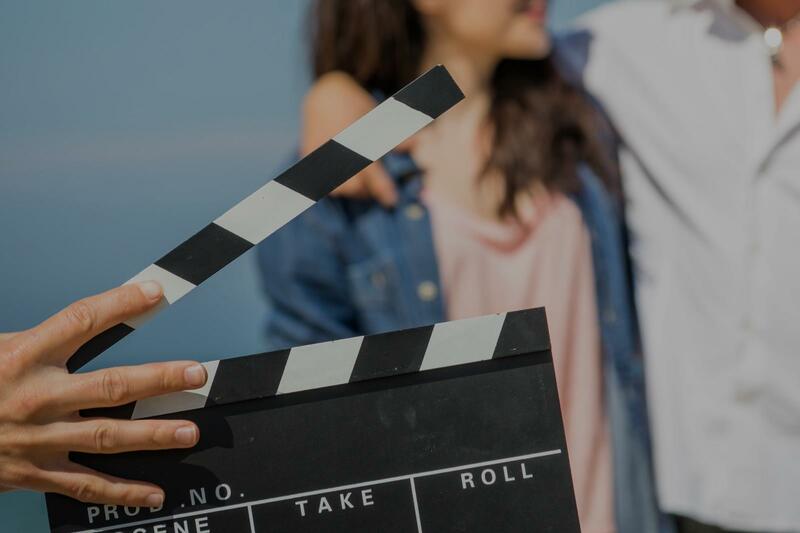 We will also use my expertise on the other side of the camera to explore how to work with directors, as well as the writer's perspective on your character's function in the larger story. I look forward to setting your talents loose on the world! Hi! I'm a television and theatre actor-turned award-winning director and screenwriter. I've done theatre in New York and all over the world (including touring in "Les Misérables" and being an original cast member of "Heathers: The Musical"), and I've acted in television shows like "Switched at Birth" (ABC Family), "The Good Wife" and "How I Met Your Mother" (CBS). I moved behind the camera in 2014, and have since directed 3 multi award-winning independent short films, as well as writing original screenplays in various stages of purchase and development for feature film production and primetime television. I absolutely love to teach and have for many years along the way of my career. I've helped students explore their passion and hone their acting skills in New York, Los Angeles, Chicago, my native Oregon, and even in South Africa. I genuinely believe that anyone can act if given the right tools to have confidence in what they uniquely bring to the stage or the set. I look forward to sharing my all-encompassing perspective on acting with you and setting your talent loose on the world! Zach is a great instructor! He’s very encouraging & gave me great advice/direction as I begin film school. Would definitely recommend! Zach is perhaps one of the smartest and most well rounded artists I've met. He has experience in all aspects of the business, from being an actor to a producer and to an award winning director, which makes him an unbelievable resource and teacher. I always look forward to our time together because I feel supported, heard, seen and never judged. He is always one step ahead which allows for very productive sessions. I leave our sessions feeling confident and fully prepared for whatever may come my way in auditions. I've worked with many people in this business and you do not come across people like him often. I feel incredibly grateful that I have Zach as a coach and resource. I cannot recommend him enough or give him higher praise. I'm a recent LA transplant aspiring to due more film and tv work. I've been working with Zach for the past 3 months and he has done amazing things for me, in terms of how to transition from working in theatre to being in front of the camera. Zach isn't like other teachers in LA, he's a true mentor and passionate about getting to know you as an artist in order to help yo ubring truth to your acting. I have been a professional actor for over 30 years. I have been coach for over 15years. I teach an on camera class that incorporates the Miesner technique. I have worked children, teens and adults. I teach you how to break down a scene and get it camera ready. I also teach audition technique and I can help you put on your auditions on tape. I work with many Managers and agents through out the Los Angeles area and have worked with many celebrities. I have spent many years in the theater as well as on film and television. I also coach Voice Over talent and have coached children for Mock Trial. Hi there, I'm so happy you are interested in my classes. I have been teaching for over 15 years in the US and Canada. As an actor I understand the importance of being prepared. I am from Toronto, Canada. I went to the American Academy of Dramatic Arts in Pasadena,CA. I started in Musical Theater and later transitioned to Film and TV. I have coached with some of the best in the business. eg: Janet Alhanti ,Ivana Chubbick and Seth Riggs just to name a few. I have had classes with The Dennis La Valle Studio,Gas Town Actors Studio, Studio on The Drive and Actors Space West. I have been working with Managers and Agents to help there actors with auditions and coaching. I have coached Philip Maurice Hayes,Terrell Ransom Jr., Hanna Hayes, Abigail Zoe Lewis and had the pleasure of Riggs popping into my class. I've worked with Maria Louisa for many years and find her to be incredibly talented. There's an effortless ease and depth to her work that is unmistakable. Besides being incredibly gifted she's a warm and caring person. Maria Louisa is absolutely incredible. I have worked as a professional film and television actor for over thirty years. Maria Louisa adds so much to every coaching session and to any "Eco" audition. She notices things that I may have overlooked in my scene or character breakdown. I booked a supporting lead in the @0th Century FOX feature film, Diary of a Wimpy Kid 3/Dog Days, submitting on my iphone, and with Maria Louisa assisting. She is always straight to the point, and always gets me the very best results. Can't find a teacher in North Hollywood, CA? The average cost of 60-minute film acting lessons in North Hollywood is $76. While the exact cost will vary depending on the teacher, type of lesson, and your location, you should expect to spend anywhere between $60 and $99 per hour. For the best experience, we typically recommend 60-minute film acting lessons. However, students looking for a more affordable option may want to consider a shorter lesson length of 45 or 30 minutes. On average, 45-minute film acting lessons are 18% less expensive at $63, and 30-minute lessons cost 33% less at $51. Curious how much film acting lessons cost in your area? Do a quick search to get local prices for the best film acting teachers near North Hollywood. Students are raving about their Film Acting instructors on TakeLessons. Check out some of these recent reviews. e is always attentive to what my strengths and weaknesses are and is always willing to help in any area necessary. She is always helpful, supportive, willing, and most of all caring. Jessie has a genuine love for teaching that rubs off on a student. I'm very grateful to be a student of Jessie's. thank you Jessie!!!" Los Angeles, CA teacher: Jessie M.
"Great lesson. My 11 year old learned so much!" Los Angeles, CA teacher: Hunter S.
"Helps a lot. Takes time with his students and can find where they need improvement." David Tom. I've never seen an acting coach simplistically break down technique for me to understand the way David did. I am so greatful he has shared his knowledge that must have taken years to master with me." "If you need an amazing teacher, Denise is the one you've been looking for. 100% the best teacher ever." Los Angeles, CA teacher: Denise P.
"very helpful. listens well .gives constructive feedback. easy to talk with..a pleasure so far." Los Angeles, CA teacher: Marcel M.
ecommend David to anyone wanting to learn how to do film acting."